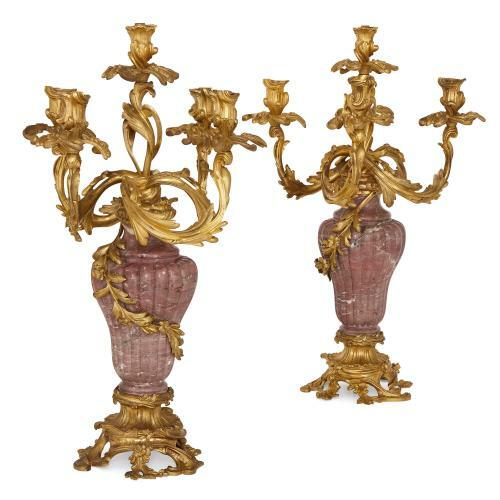 This majestic pair of candelabra are crafted in sumptuous rouge veined marble and feature exceptionally ornate ormolu mounts in the Rococo style. 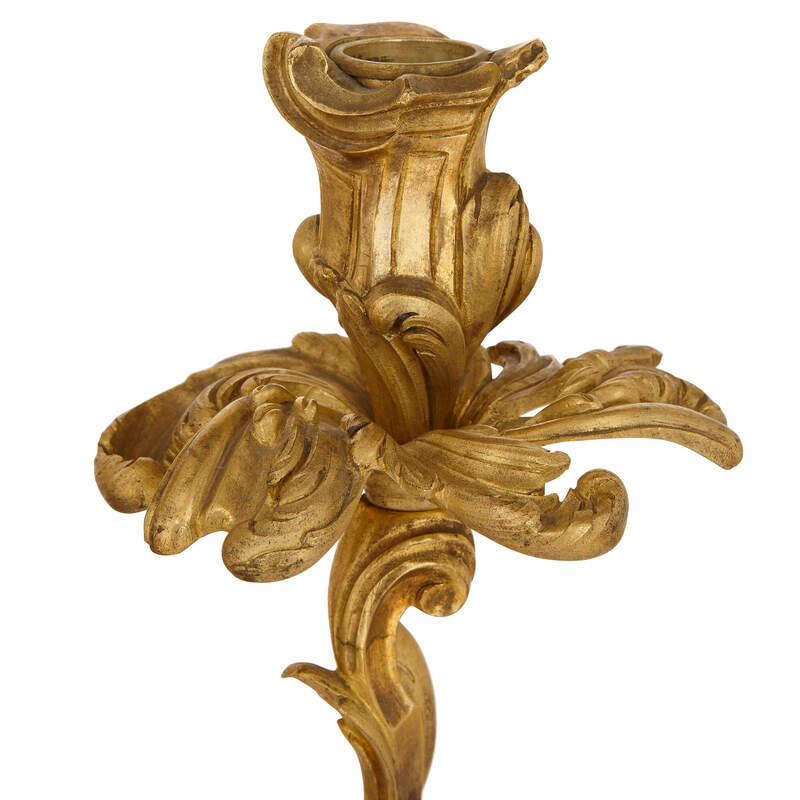 The Napoleon III period of the mid-19th Century became synonymous with majesty and splendour, and many historic French styles enjoyed a revival under the new Emperor Napoleon III. 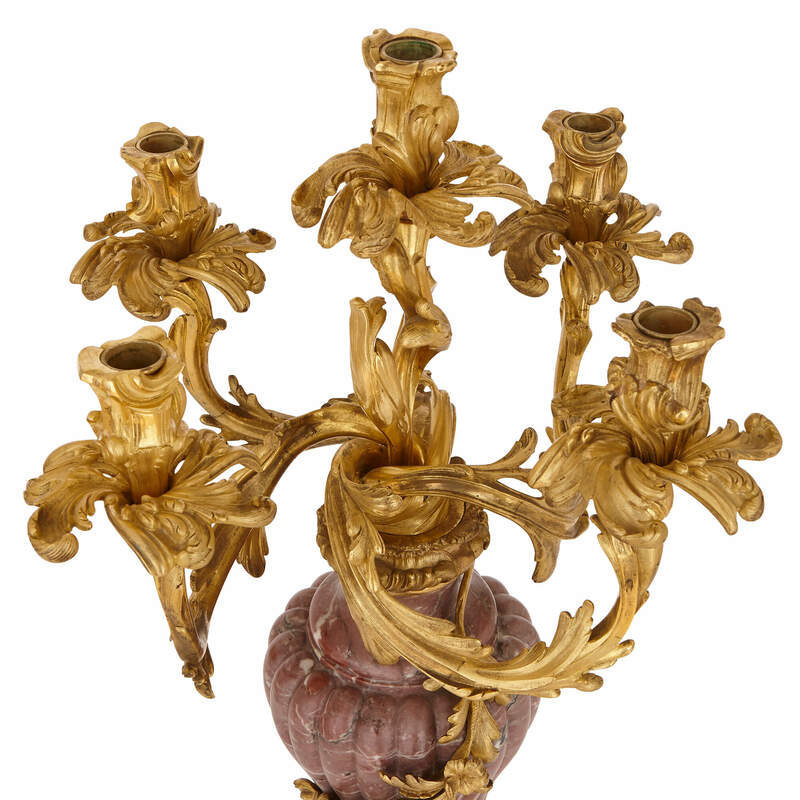 These candelabra are crafted during this period, with the regal extravagance of the Rococo style, which was popular under King Louis XV of France. The candelabra are styled as bulbous vases of rouge veined marble, with red and purple tones, which are reeded and taper downward. 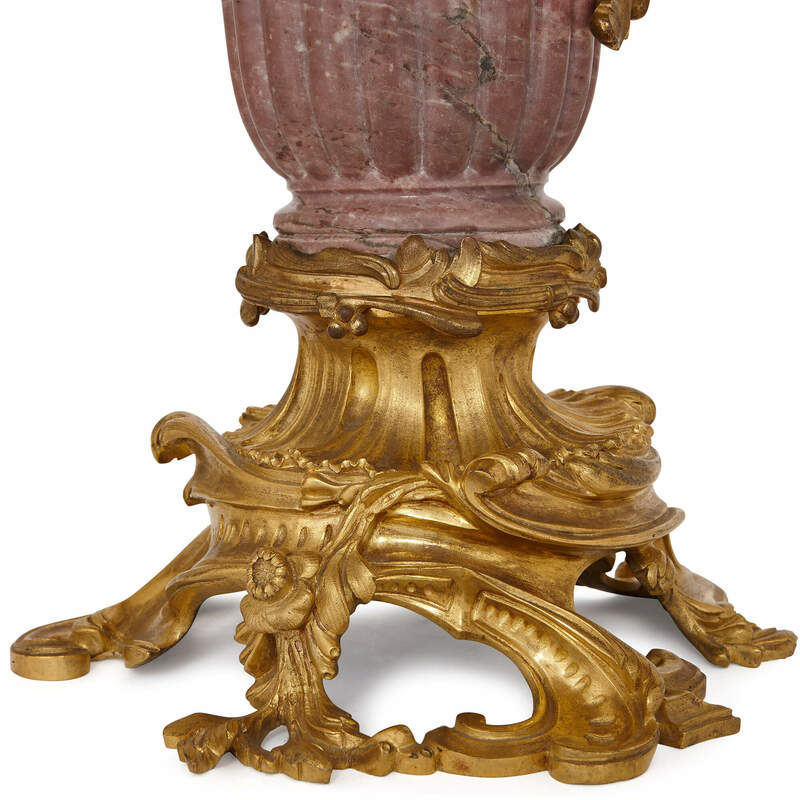 Issuing from the wasted necks of the vases are five ormolu branches, styled as acanthus leaves, leading to lights with leafy drip pans. 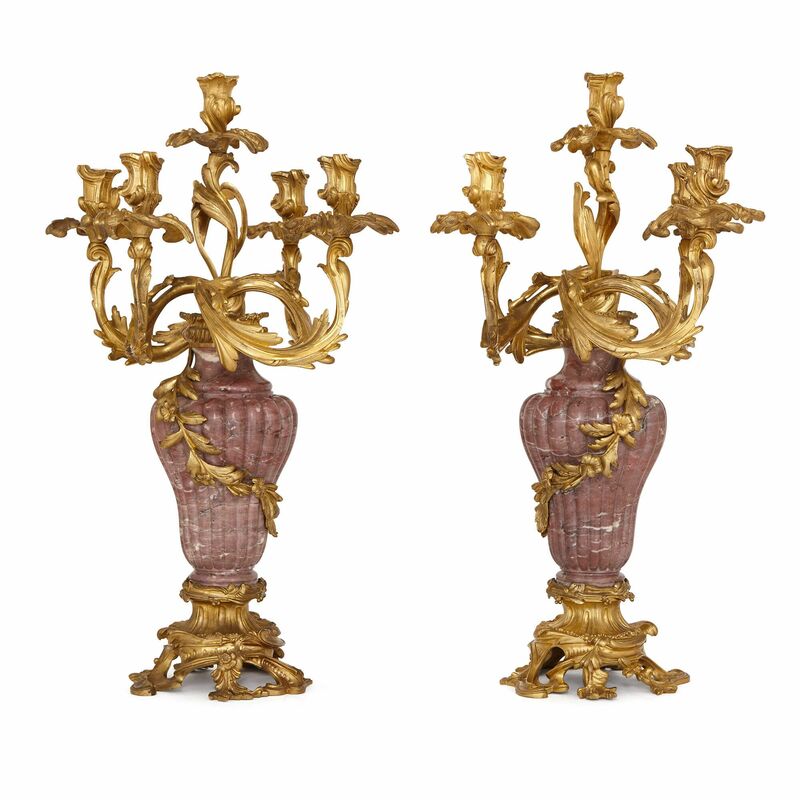 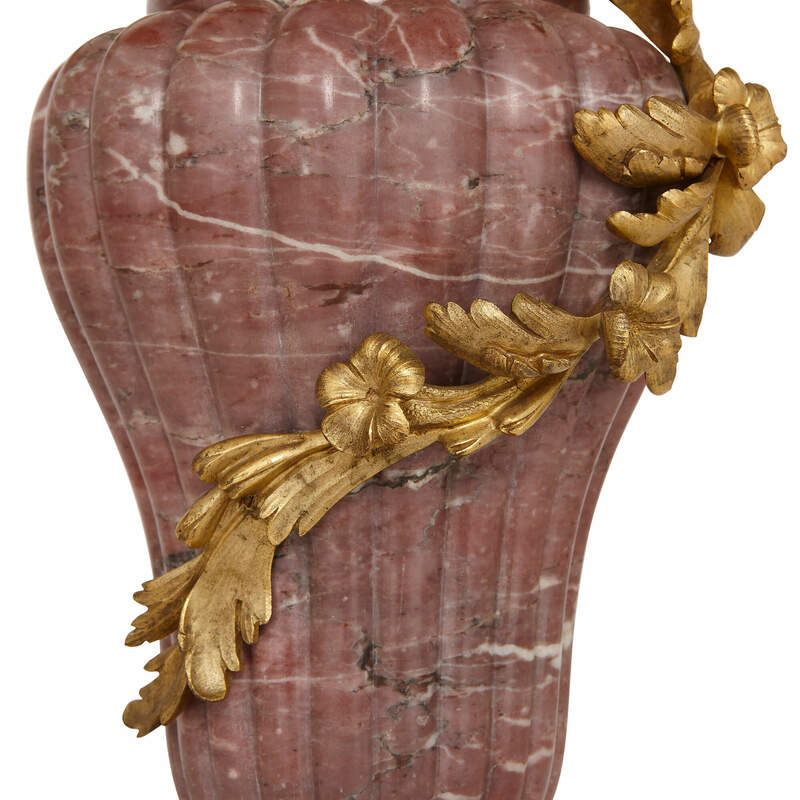 An ormolu vine of leaves entwines downward around the vases from the lights, leading to the exuberantly cast ormolu bases, which feature decadent c-scroll motifs, flowers, fluting and further acanthus leaf designs.